Has your morning been JOYFUL so far? Make yourself some coffee or hot tea so you can spend time with the Lord, the giver of JOY. We have made it to the last chapter of the book of Philippians. I guess the apostle Paul decided to save the best for last. Some of my favorite bible verses can be found in this chapter so we are going to slow down this week and not miss anything Paul has to teach us. These bible verses are essential in our desire for JOY so pay attention this week. Start by getting out your Bible and journal. Then answer the following questions. How often are we to rejoice in the Lord (verse 4)? What type of spirit should we have to all people (verse 5)? 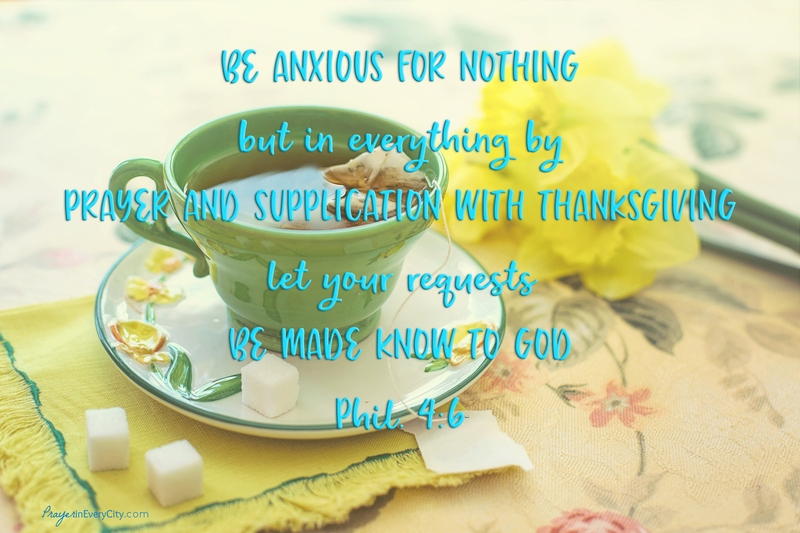 What are we supposed to be anxious about (verse 6)? How should we handle our anxiety (verse 6)? What happens when we give our problems to the Lord (verse 7)? If we want our hearts to be filled with PEACE and JOY, we cannot be filled with anxiety. We all know this biblical truth, but it is easier said than done. How do we put these verses into practice and see results? Let us focus on verse 6. In order to get rid of our anxieties, we must pray about them daily. When we pray about our problems, we must leave them with the Lord by casting our cares on Him (1 Peter 5:7). That means don’t think about them and worry about them all day. We haven’t given the problem to Jesus when we choose to continue worrying about it. Pray about them, then leave them at Jesus’ feet. Imagine each of your problems as a heavy book in your backpack. 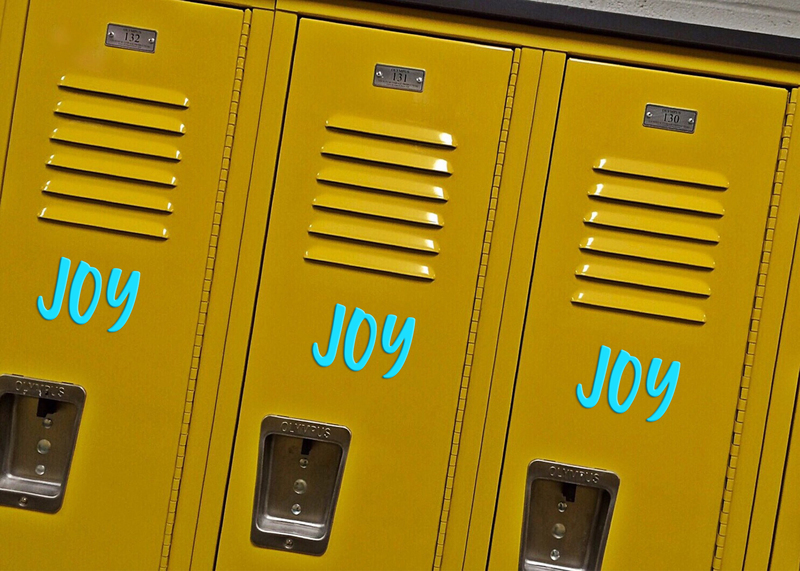 You have the choice of letting Jesus put your problems in his locker of JOY and PEACE or you can carry it around all day in your backpack. Remember that when you choose to bear your won burdens, more will be added throughout the day. Before you know it, you are buckling under the burden you were supposed to give to Jesus. In order to change this mindset, you must understand that we have an enemy who reminds us of our anxieties throughout the day. Satan will remind us of it several times daily to upset us. After you have prayed about a problem, then refuse to think about it the rest of the day or cast it on the Lord again. Say, “I already gave that problem to Jesus. He is carrying my burden so I don’t have to”. You will be surprised that the anxiety will become less burdensome and eventually go away. This will be determined by how well you can cast the burden to Jesus. Now I want you to tell God all of your problems and anxieties in prayer. Leave them in Jesus’ locker all day and don’t allow you mind to entertain the anxieties once you have prayed over them. If you wake up with anxiety tomorrow, then pray again tomorrow. Remember that God’s STRENGTH and JOY are like manna. You must collect it everyday. Now walk in JOY!